Our fraternity has a wonderful history, which dates back more than three centuries. It is one of the world’s oldest secular fraternities, a society of men concerned with moral and spiritual values. Founded on the three great principles of Brotherly Love, Relief and Truth, it aims to bring together men of goodwill, regardless of background and differences. People generally think that to become a Freemason you have to be wealthy and have a position in society, this is not the case. In fact, the members of the Burnley and Pendle District are all ordinary men who you meet every day, from plumbers, window cleaners, joiners, engineers, sales reps, in fact from almost every walk of life. It’s actually straightforward to become a Freemason, the essential qualification for admission is that you have a belief in a Supreme Being. It is usual for candidates to be over the age of 21 years, but in some circumstances men between the ages of 18 and 21 can be admitted. An informative brochure issued by the United Grand Lodge of England can be downloaded entitled “Thinking of becoming a Freemason” . After viewing this brochure and visiting some of the websites linked from the Home Page, if you are still interested in becoming a Freemason we advise that you first talk to a family member, friend or colleague whom you already know to be a Freemason, alternatively, you can complete the online enquiry form below. Arrangements will be made to meet you socially to find out more about you, and to give you a chance to find out more about us. 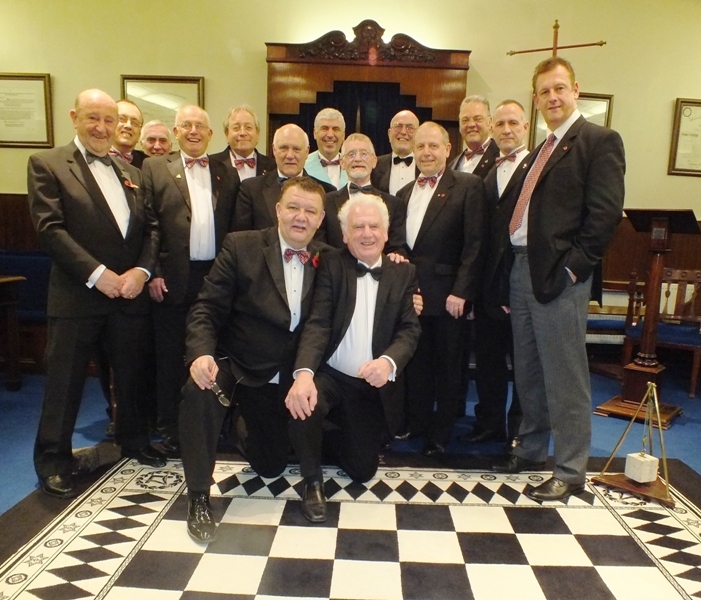 You would then in due course be invited to meet members of the Lodge prior to being balloted for membership. All being well, a date would then be fixed for your admission.